Tesla and Kelley Blue Book are sending some good signals that the Model 3 will have a great resale value. Model 3 won another resale value, but this award is very questionable. We will discuss it below. But now, according to Kelley Blue Book Model 3 is the best electric car in the United States at holding its resale value. Overall, this is great news for people who are buying a Model 3. "Resale value has always been a question I get from a customer who wants to buy a car. I am always a bit careful with what I say about the future. But here we are getting some good signals that the Model 3 will retain its resale value better than other cars," writes Navid Gondal, the Moderator at Tesla Tip and Tricks group on Facebook. Model 3 hasn't been around long enough to really make a true analysis of resale value. What is the maximum age of a Model 3, right now? It's only one year old. Yet, it looks like there are people with some experience who are making predictions. Lets hope they are correct. The first Model 3 cars are getting over 1 year old. I think the first Model 3 was delivered December 23rd 2017. Here is the first delivery of Model 3 and detailed walk through. The first Tesla Model 3 was delivered on December 20, 2017. 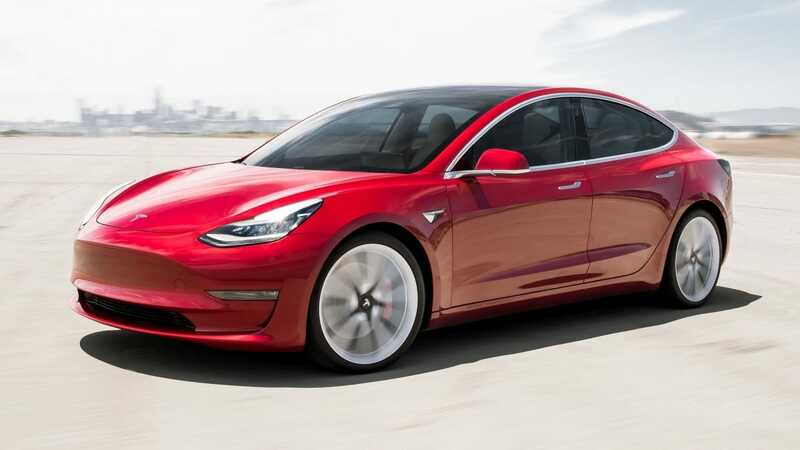 Kelley Blue Book released its list of 2019 Best Resale Value Award Winners yesterday and while Tesla Model 3's resale valuation is based on only one year data, the third place in its category is 2019 Audi e-Tron. Note that 2019 e-tron has absolutely no data points. So take these resale valuation awards and lists with a little grain of salt. We need more data and better comparisons. A sad commentary on the ability of Kelly to even define"resale value." Aside from the obvious error of a very small sample and the fact that a small sample means small supply, which always falsely inflates valuations when it is not long lasting. But also affecting the value of this resale value claim is the fact that the Model 3 is in short supply - that is due to the large waiting list of buyers. We'll have to wait until the car has some age on it, the future of Tesla is less cloudy, and there are more than a few cars on the market. Kelly has completely screwed up this time.